Mercedes has warned that its cars are likely to be even more competitive at the Malaysian Grand Prix than they were at last weekend's season-opening round in Australia. 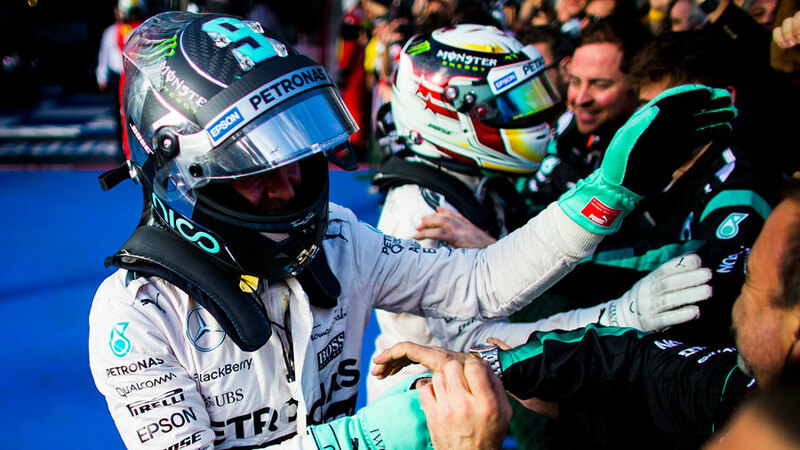 Lewis Hamilton led team-mate Nico Rosberg to a dominant one-two victory in Melbourne, which acted as confirmation that Mercedes has lost none of its competitive edge over the winter. The W06 Hybrid held an advantage in every sector of the Albert Park track, which is mainly made up of slow- and medium-speed corners. However, looking at the data from testing, Mercedes believes its main strength lies in high-speed corners such as the ones scattered throughout a lap of Sepang. "The most difference we see is mid- to high-speed corners - that seems to be the strength of the car," Mercedes boss Toto Wolff said. "That was the strength of the Red Bulls and it now seems to be where we are looking most competitive. "We see a deficit from our car on the straights in comparison to Williams and Ferrari, they have much more straight line speed - as much as 10-12km/h in terms of straight-line speed, so less drag." Asked if Mercedes would be even more competitive in Malaysia, Wolff added: "Potentially yes. Aero wise we are doing well and on the power unit side we are doing well and the integration worked well. The team is really synchronised and we have spent so much time aligning everybody over the winter that I have the feeling that I am more tired now than at the end of last season and you can see the result. "But then this [Australia] was a perfect weekend: a faultless car, faultless drivers and then you have such a result with a one and two. I don't think you can expect to go on like this." The news will be of little comfort to Mercedes' rivals, especially Red Bull which has called for changes to be made to the sport to level the competitive order.